Brooklyn movie critic (and native Saratogian) Jesse Hassenger weighs in on all 'Three Billboards,' 'Get Out' and all of the other favorites. This year’s Oscars, airing this Sunday, March 4, at 8pm on ABC, comes as the Academy has attempted to play a long-overdue game of catch-up, adding younger and more diverse members to a voting body that has traditionally skewed very old and very white. Maybe this accounts for the fact that many of this year’s nominees are actually pretty great. This in turn makes this year’s awards harder to predict than ever. But that hasn’t stopped me from attempting to pick the winner in each category, as well as stumping for some personal favorites. If you still haven’t caught up on the nominees, there’s still time! One-third of this year’s Best Picture crop—Three Billboards Outside Ebbing, Missouri; The Post; and The Shape of Water—will be playing at the Bow Tie Cinemas in Downtown Saratoga over Oscar weekend. The Spectrum in Albany is playing those three alongside a trio of other nominees (Lady Bird; Phantom Thread; Darkest Hour) and programs featuring the year’s nominated short films. And if you’re wondering where next year’s nominees might turn up in the Capital District, be sure to consult my crib sheet that’s already online. Will Win: It’s the least clear race in ages, with at least three strong possibilities in play. 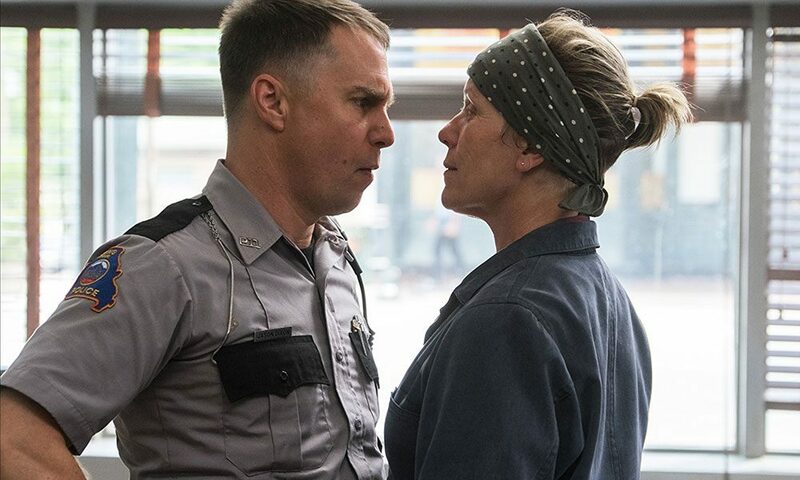 But I think the actors (the largest single voting bloc in the Academy) will push Three Billboards Outside Ebbing, Missouri into the winners’ circle. Should Win: Most of these movies are terrific (sorry, Darkest Hour), but the low-key yet perfectly crafted Lady Bird is the best of the bunch. 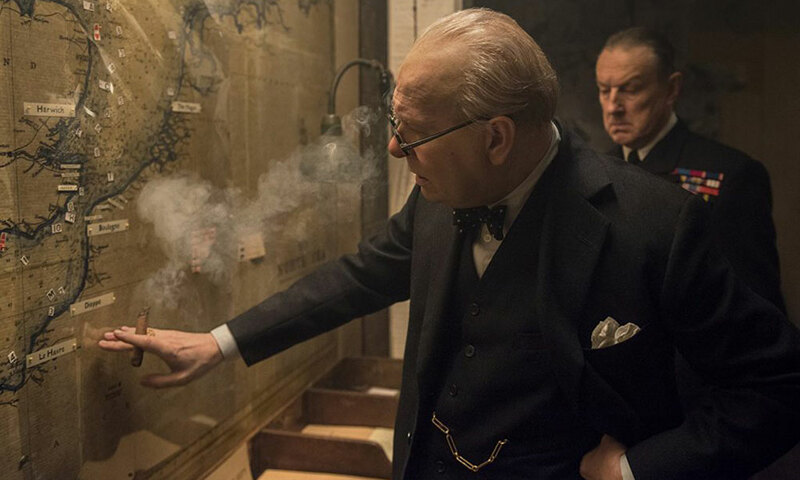 Will Win: Gary Oldman’s long and storied career, plus the impersonation factor and the transformation factor, has his role as Winton Churchill locked. 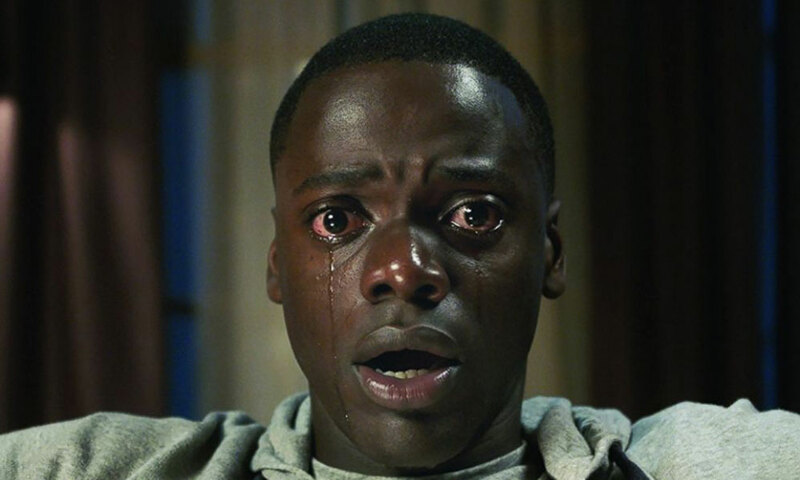 Should Win: Daniel Kaluuya’s reactive performance in Get Out is the kind of strong yet subtle work the Academy almost never honors; maybe it should start. Will Win: In a category overflowing with crazy talent, Frances McDormand seems likely to take home her second, much-deserved Oscar (her first was 21 years ago for Fargo). Should Win: McDormand is a powerhouse—really, everyone nominated this year is deserving—but extra credit should go to Saoirse Ronan for embodying a teenage girl’s awkward, self-conscious yearning (plus rocking a flawless American accent) in Lady Bird. Also, I would be remiss if I didn’t point out that Kristen Stewart (Personal Shopper), Anne Hathaway (Colossal), and Aubrey Plaza (Ingrid Goes West) gave some great under-the-radar performances this year that film fans should be seeking out at home. Will Win: Sam Rockwell has been taking just about every pre-Oscar prize and though this is his first nomination, his character-actor career makes him feel overdue. He’s got it in the bag. Should Win: I bow to no one in my love for Rockwell, one of the most welcome sights in movies. He’s great in Three Billboards, and I hope he does one of his signature weirdo dance moves on his way up to the podium. That said, Dafoe really is a quiet, gentle revelation in The Florida Project, the best movie of 2017. Will Win: Most of the signs have been pointing to Allison Janney, who as Tonya Harding’s cruel-yet-quippy mother certainly delivers the kind of scene-stealing, attention-grabbing part that tends to triumph in this category. But of the four acting categories, this one seems most open to an upset, and I think in the end, voters will throw their support behind another mom character with a lot more depth, putting Laurie Metcalf one step closer to an EGOT (the 30 Rock-coined status of having won an Emmy, a Grammy, an Oscar and a Tony). Should Win: Metcalf; Janney is always great, but she’s doing shtick that nearly threatens to turn her character’s abusiveness into a campy joke. Will Win: Picture/Director splits have become much more common in recent years, and those usually reward a director taking on some kind of visually stunning technical challenge. 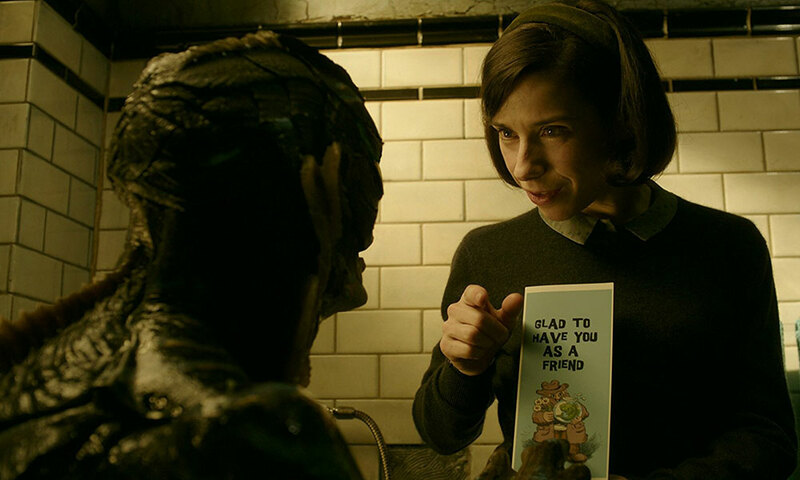 That points to Guillermo Del Toro for Shape of Water’s lushly captured Cold War fairy tale. Will Win: This might be the most competitive race of the night. Typically, Original Screenplay winds up rewarding a movie that is more innovative and interesting than whatever gets Best Picture as sort of a consolation prize (call it the “future classic” award; past winners include Eternal Sunshine of the Spotless Mind, Almost Famous, Her and Pulp Fiction). This year, with so many Picture and Director nominees in play here, there are a lot of ways to spread the love around, and if that’s really voters’ prerogative, Lady Bird’s Greta Gerwig or Get Out’s Jordan Peele look like strong bets. But Academy folks might just vote for the script they liked best, and Martin McDonagh’s Three Billboards has a lot of memorable characters and dialogue for them to chew on. A gut feeling says Get Out will eke out a win here, but it’s a close one. Should Win: In the happy alternate universe where Gerwig wins Best Director, I’d be happy to share the love and give Get Out or Three Billboards a trophy here. Will Win: Call Me By Your Name is the only Best Picture nominee. Should Win: In a relatively weak group, I’d give in to my geeky side and vote for Logan, the only X-Men movie that has ever received a screenplay nomination (and, let’s be real, probably the only one that ever will). Film Editing: This often, though not always, goes to the Best Picture recipient. But I think the trickiness of the three WWII narratives powering Dunkirk will allow it to sneak in a well-deserved win here. The real question is how did the editors neglect to honor the snappy, story-propelling cutting of Lady Bird, probably the best-edited movie of last year? Cinematography: Conventional wisdom says that the visuals of Blade Runner 2049 will finally result in a win for its much-nominated cinematographer Roger Deakins, and that’s who I’d vote for. But I think the Academy won’t pay attention to the name next to the movie, instead choosing The Shape of Water. Production Design: Another one where Shape of Water will beat out the more deserving Blade Runner sequel. Sound Editing and Sound Mixing: These are two separate categories, covering effects (sound editing) and something more like sound design (sound mixing). Usually they have some overlap, but this year the same five movies are nominated for both. Good chance Dunkirk wins both, too. Original Score: Radiohead’s Jonny Greenwood has scored several Paul Thomas Anderson movies, but Phantom Thread is the first one where he’s been awards-eligible. I’m guessing it won’t matter, and Shape of Water will win another one here. Original Song: I think the bizarre box-office longevity of The Greatest Showman (still playing in Downtown Saratoga, over two months after its release!) may be rewarded here. Visual Effects: If Blade Runner 2049 gets any Oscars, this is where it happens. Makeup and Hair: Darkest Hour, easily. Costume Design: How can this not go to Phantom Thread, the movie about the fastidious dressmaker? Foreign Language Film: I’m going to guess A Fantastic Woman. Documentary Feature: Last Man in Aleppo seems to have the requisite super-seriousness on its side. Animated Feature: Pixar’s Coco in a walk. The Shorts: OK, I have no idea for the live-action or documentary shorts. But I did see all of the animated shorts, and the Kobe Bryant-penned Dear Basketball is looking like a favorite there.